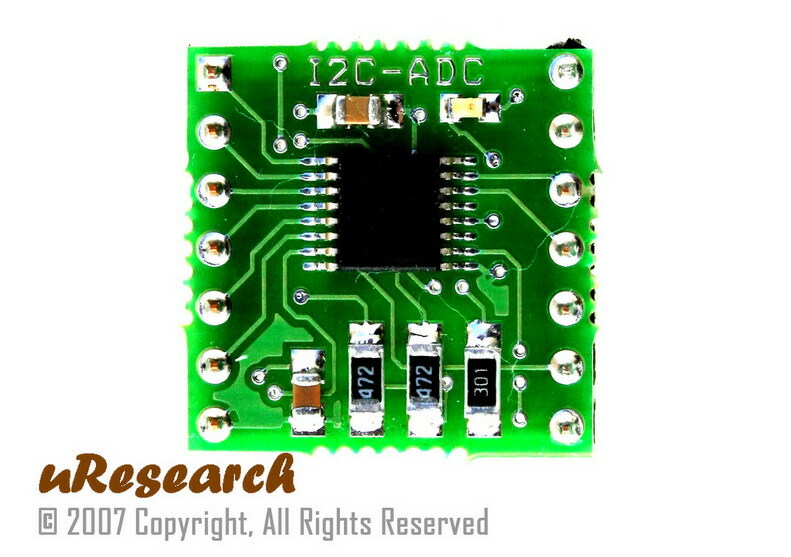 The I2C-ADC board is an I2C 12-bit, 8-CH Analog-to-Digital Converter module. The module can be configured as a Single-Ended Inputs Mode or Differential Inputs Mode. There are no external components required. Only two signal lines SDA and SCL plus supply voltage and ground are required to be connected. 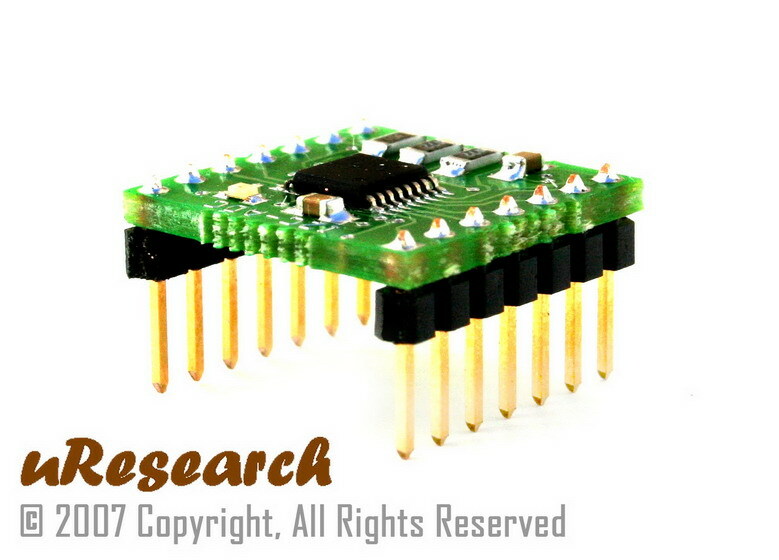 This makes it perfect for embedded systems that require more input/output ports. 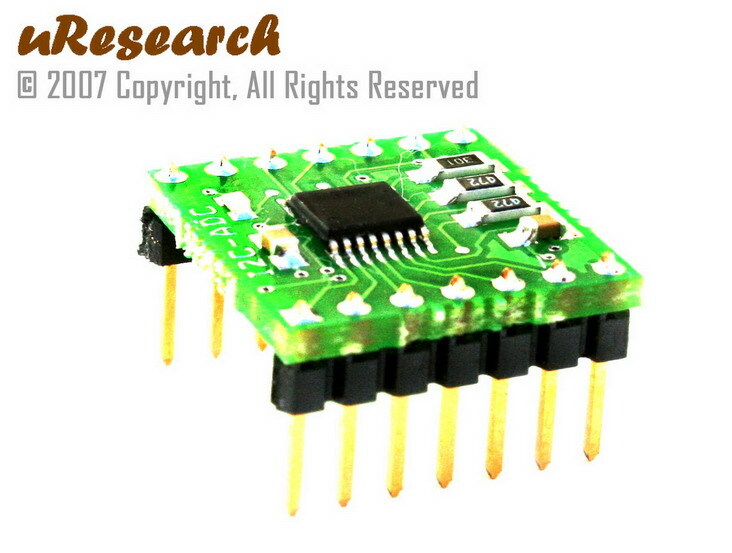 This board features innovations that set it apart from other ADC module. 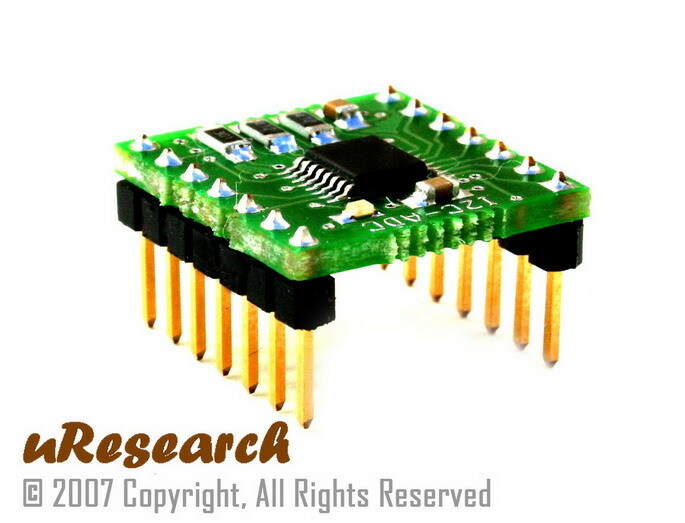 Innovations feature like on-board I2C address jumpers, pull-up resistors, power LED and 2.5V reference. The module can be quickly connected directly on to the breadboard. 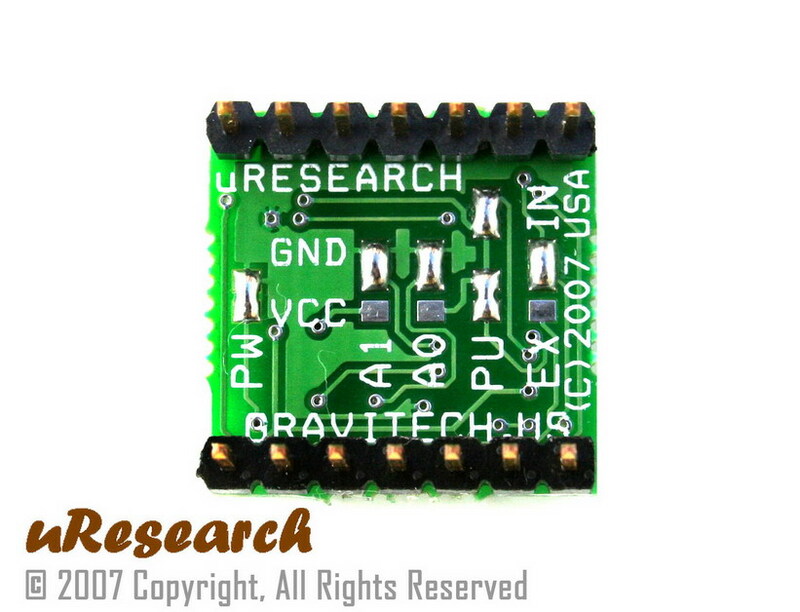 The board is small and compact in size 0.70 x 0.70 inches. I2C-ADC ideal for applications requiring the A/D converter to be close to the input source in remote locations and for applications requiring isolation. Two jumper pins vary the fixed I2C address and allow up to four devices to share the same I2C bus. That is total of 32 channels.